PLEASE NOTE: ALL entries must be MAILED to the secretary, regardless of whether they are completed by hand or online. We do not receive entry data from any electronic processes. Your postmark determines your order of acceptance to the event. If you have paid via credit card online, your "postmark" is the date payment was submitted. Without the hard copy of the entry with all signatures, paperwork, fees if needed, your entry remains incomplete. For events that are oversubscribed, the wait lists are populated strictly by postmark. KHP Address: 4089 Iron Works Pkwy, Lexington, KY 40511. MSP Address: 3051 Leestown Rd, Lexington, KY 40511. KY Horse Park of Lexington-Ironworks Pike From I-75: Exit 120. From other Hwys: Watch for KY Horse Park signs. Enter at main gate entrance of park. Drive to stables-directions to Masterson St. Park available at stabling. If coming directly to Masterson St. Park: Take exit 115 off I-75/64 toward Lexington on 922 Newtown Pike to New Circle Rd. #4 & around Lexington toward airport to exit 7, Hwy 421/Leestown Rd north to Masterson Station Park on right; or take Midway exit off I-64 to 421/Leestown Rd. Southeast to Masterson Station Park on left just outside Lexington. Maps online at event website. Available one week before event at www.kyevents.net. Spring Bay HT P.O. Box 841 Louisville, KY 40059. Mail signatures, copy of Coggins & check(s) to Secretary. All communications via email or regular post. Please note: Fed Ex or UPS will not deliver to a P.O. Box. No mailings that require signatures please. No phone or fax info accepted. Emergency contact only: Fri-Sat. Apr. 5-6 (KHP Show Ofc) call (859) 281-7979 Sun April 7 ONLY: (859) 621-2479 (Masterson Station Park). Late scratches must be done via email to secy! 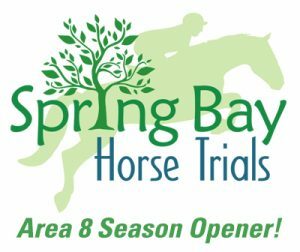 All questions on entry status, scheduling to secretary only at Springbayhorsetrial@gmail.com EMAIL: Mary Fike, organizer - hmf@iglou.com. Secretary, Springbayhorsetrial@gmail.com Draw checks to Spring Bay Horse Trials. Event Fees Directory: Draw checks to Spring Bay Horse Trials. Returned checks will be assessed a $50 fee. Please check the fee calculation for your entry carefully. Computational errors or errors triggered by automated entry processes, which result in a refund due, will be charged a $25 handling charge. Should the difference remaining in the refund total be $10 or less, the remainder will be donated to the XC jump fund. Entry:P/T/N/BN divisions: $235.00; Starter Division: $200.00 (U.S. funds) before Close. All incld. theKHP$10.00 footing fee! ALL ENTRIES POSTMARKED ON Opening Datewill beEntered in Drawing to win $200 cash refund. Refunds: Before C.D.-Less $25 non-refundable office fee; After C.D.-No refund/stabling-No refund. Competition cancellation-No refund if competition has begun. Refund prior to start of competition as expenses allow. USEA Starter and D&M Fees Refund Policy: The USEA Starter and D&M fees ($21), are not subjected to office fees, and shall be returned within 30 days of the competition to any rider who does not start the dressage test. Any entries that are accepted after Close - Entry Fee $255, plus stabling and Assn. Fees.Event website will state at Close whether this option will apply, and only COMPLETE entries with all FEES will be considered. ALL payments received after Close must be paid via Credit Card, Money Order or Cashiers Check. Riders please Note: ANY entry received and not COMPLETE (including all fees due) at Close, will be removed from the Entry List and Late Charges of $50 will apply to this entry in order to start the event. Payment via credit card, money order, cashiers check or cash only. Entry fees include a $25 non-refundable office fee. Double entries: Not accepted. USEAcurrent membership(Junior, Collegiate, Full, or Life) and horse registration (Limited or Full) are required at all levels, except Starter. 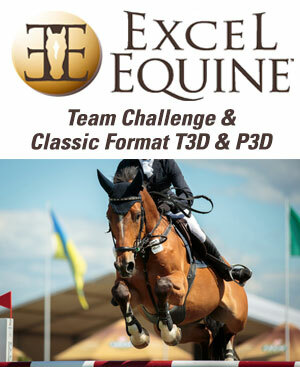 Starter participants are exempt from USEA membership and theUSEA Starter/D&M fees do not apply. The KHP charges a fee of $35 each for non-stabled horses. This fee goes directly to the KHP and the Event receives no part of it. Please check that this is an option on electronic siteselectronic entry sites. If not, you may pay this when you pick up your packet. FOR MAIL IN ENTRIES - Add this fee to your total on the entry form. Please note: All entry fees deposited upon receipt. Refunds will be made as timely as possible. Refunds: Before C.D.-Less $25 non-refundable office fee; After C.D.-No refund/stabling-No refund unlessthe spot is filled from wait list.Competition cancellation-No refund if competition has begun. Refund prior to start of competition as expenses allow. USEA Starter and D&M Fees Refund Policy: The USEA Starter and D&M fees ($21), are not subjected to office fees, and shall be returned within 30 days of the competition to any rider who does not start the dressage test. Any changes requested after C.D. made only as schedule permits and will incur a $45 additional fee (incl stabling changes). A current Neg. Cogginsmust accompany the entry form.Health papers within 30 days required to bring a horse onto the KY Horse Park if out of state. See website www.kyevents.net for details. Please provide legible Email for communications and questions. You MUST provide a Stabling form - filled out completely - to ensure your requests are properly addressed. Include Stable with information as a Rider's name - not Trainer or Group. Any changes requested after C.D.will incur a $45 additional fee (incl stabling changes). Trophy & 10 ribbons per division. $40/night. Tack stall same rate. 800 perm. stalls on grounds at KY Horse Park. The KHP charges $35.00 per horse for non-stabled horses. The event does not receive any of this fee. If hauling in, please be sure to add the $35..00 per horse when you enter. Feed/Hay/Bedding available for purchase. Stall doors only provided. Devers Hay, Grain & Bedding-no answering machine-(859) 233-9702 or www.deverinc.com. Additional info on website. Veterinarian: Contact info posted at secy office at event. Please abide by the stable assignments or there may be a $50.00 fine for using a stall not assigned to you. Book rooms early! 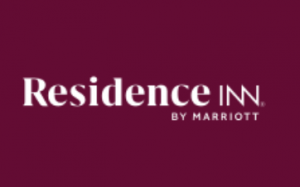 Official Hotel Residence Inn by Marriot - 5 mi. (859) 231-6191. Others: Four Points Sheraton-5 mi. (859) 259-1311. Fairfield Inn-4 mi (859) 977-5870, Clarion Inn-5 mi. (859) 233-0512, Holiday Inn Express-Georgetown-6 mi. (502) 867-1648, La Quinta, (859) 231-7551 . Camping: KY Horse Park campgrounds (888) 4KY-PARK or book online at www.parks.ky.gov. Test & arena sizes: P-2018 USEF Preliminary Test A-Sm. T-2018 USEF Training Test A-Sm. N-2018 USEF Novice Level Test A-Sm. BN-2018 USEF Beginner Novice Level Test A-Sm. Starter-2015 USDF Introductory Test C. Arenas: Sand. P-3120 m @ 520 mpm. T-2400 m @ 450 mpm. N-2000 m @ 350 mpm. BN-2000 m @ 300 mpm. Starter-1400m-2000m m @ 250 mpm (speed faults 350 mpm); max height 2'5", show jumping 250 mpm, 2'5".Terrain: Rolling hills, mostly open; water & up/down banks at all levels. All courses: Good early season or beginning of the year courses; but NOT move-up courses for horses withno experience at their new level. Cross-country course closed Feb 19th. Cross-country course closed Feb 19th. Levels may be divided/combined if entries warrant. Food on grounds days of event. Dogs must be leashed. USEA/USEF # where applicable, original signatures & fees attached. Prelim. Level: Copy of USEF card(s) for 2019 required. Non-members of USEF must include USEF non-member fee at Prel. This includes rider/owner/ trainer. All fees are deposited upon receipt. (returned checks will incur an additional $50 fee). Canadian riders must meet USEA membership requirements. Withdrawals must be in writing (post or email) and received by 9 pm March 21. No phone withdrawals accepted. Horse or Rider substitutions made only within division. Change fee will apply. Entries wishing to change divisions must do so before C.D.-March 19. After CD - changes will be made if schedule permits/ Change fee will apply. KHP Address: 4089 Iron Works Pkwy, Lexington, KY 40511. MSP Address: 3051 Leestown Rd, Lexington, KY 40511. For Final 2018 Results - Click Here! For Final 2017 Results - Click Here! For Final 2016 Results - Click Here!